IkhayaIsitolo Whisky IrishSponsored Articles – Copy Supplied by Advertiser. We are always delighted to consider hosting relevant and site-appropriate sponsored articles from Irish Whiskey brands and other relevant whiskey or spirit related commercial advertisers. All sponsored articles will be clearly labelled as such using our green “axhasiwe Thumela” badge and sponsored post hashtags in accordance with best practice for commercial postings in blogs. 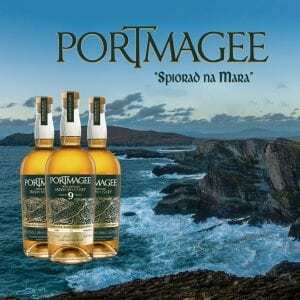 We are always delighted to consider hosting relevant and site-appropriate sponsored post articles from Irish Whiskey brands and other relevant whiskey or spirit related commercial advertisers. All sponsored posts will be clearly labelled as such using our green “axhasiwe Thumela” badge and sponsored post hashtags in accordance with best practice for commercial postings in blogs. Sponsored posts submitted for editorial approval should be between 500 futhi 1,000 words long. Images and back links as appropriate are allowed. The draft article (word format) and images (minimum 500 kb – .JPG or .PNG format) for inclusion in the article should be submitted to us by email one week before publication. We will format the article and images for publication. Sponsored blog post articles will be treated as normal site blog posts in terms of display, presentation and duration with image links to the post on the front page of the site. All advertisements and sponsored posts / articles on IrishWhiskey.com are subject to editorial approval before acceptance. ungene ngemvume amakhasimende uthenge lo mkhiqizo kungenzeka ashiye ukubuyekeza kuphela.